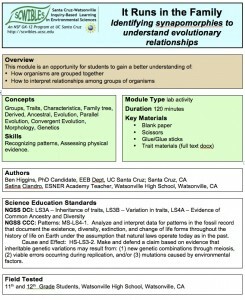 How do students begin to make sense of the vast diversity of life? Even when exposed to just a sliver of such diversity, it is commonplace for students to become disengaged. 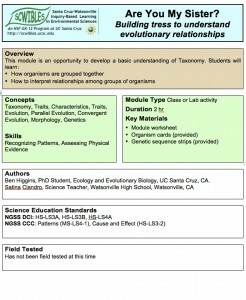 This module is a first step in understanding why and how animals are classified and to become excited about the process. 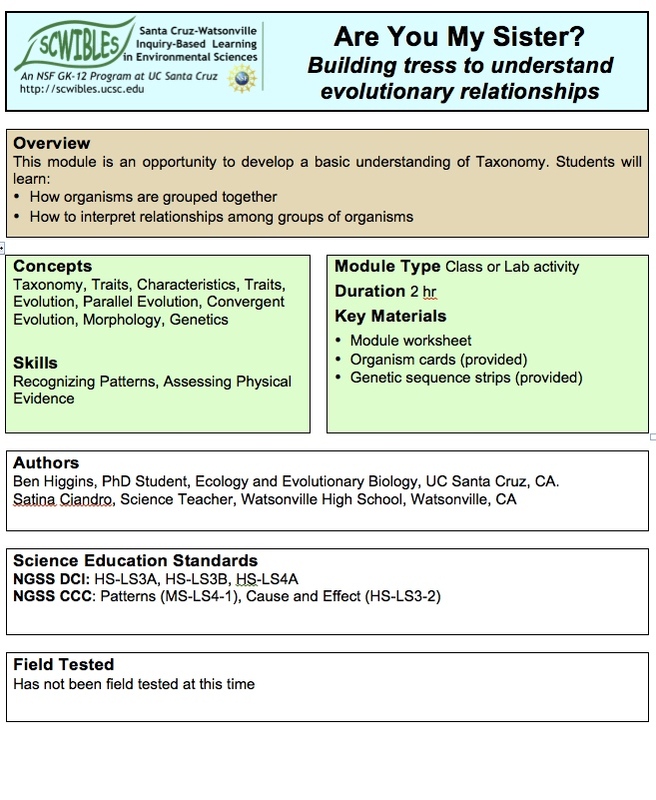 The purpose of this module is to use the traits that each species possess to develop an understanding of species relatedness. Upon completion of this module, students should have a better understanding of why assemblages of animals are classified together. 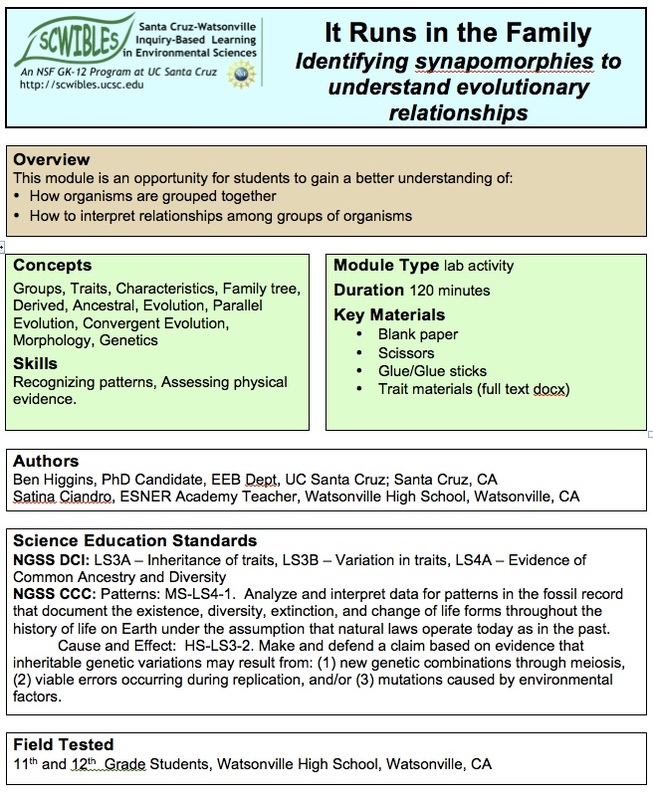 This module is an opportunity for students to learn: 1) How organisms are grouped together and 2) How to interpret relationships among groups of organisms.